Every spring brings a flood of new graduates to the world. During my college years, I received a range of advice from people. Most of it felt sincere and wise while some seemed outlandish. 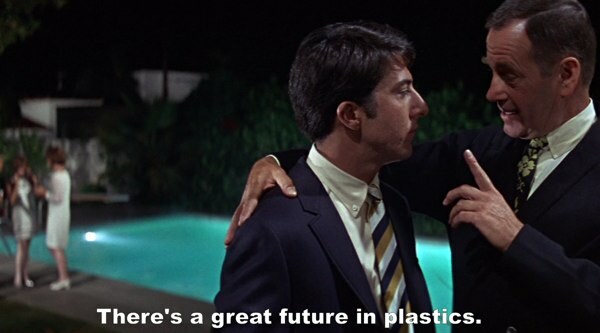 Everyone has their opinions on what to do after college just like the ever-quotable ‘plastics” scene from The Graduate. I have compiled some of the best pieces of advice given to me when I graduated from college. These are the five pieces of advice that stuck and have helped me most. I was never much of a reader but I came from a family of readers, in particular my mother and grandmother. School always seemed to wear me out and the last thing I wanted to do was read for pleasure. When I graduated from college it dawned on me that I could now read whatever I like and my adult education began. It continued through reading 30-45 books a year, reading and re-reading Classics, history books, modern fiction, and even some other genres I did not study in college. I also have traveled more in some ways after college because when you read more, you develop a desire to visit the places you read about. By continuing your education, you gain a better understanding of the world and how to use your talents to help it. That is where the joy comes in a real education; you apply what you have learned to help others. 2. You will be judged not by test scores but by your head, your heart, and how hard you work. I don’t miss testing in school and when I entered the work world I discovered that people were more interested in my thought process and work ethic more than what my GPA was in college. It was freeing because I felt I could work hard and be myself as opposed to fitting into a standard education system. For me, endless days caddying on the golf course in the summer showed me the value of hard work and relationships developed by talking with so many seasoned professionals. We are in a world where people serve other people and it is important to remember that people want to know who you are, not what you are. Practically, my father encouraged me be curious. Take people out to coffee or lunch to learn about what they do. It shows you have initiative but it is also incredibly helpful to develop relationships for the sake of networking. The days are about over where you simply apply for a position and get it without some sort of personal connection. I had a wonderful experience in college but I yearned for something more that was completely out of the ordinary. In an internship, my boss told me to take time over a week to compile the top 100 things I wanted to do in life. It has become a ‘Bucket List’ more or less and without making it a simple checklist, it has become more of an exercise about dreaming and setting goals. I’ve learned that my goals and desires have changed as I’ve aged but what is underneath is a passion to live an adventure, accomplish things, and make a difference. That takes some serious thought, prayer, and work. It even takes acknowledging that a lot of these on the list can only be completed with the help of others. It even motivated me to graduate early from college and move to Scotland to work and learn about a different culture. It is part of life. The greats of history (Churchill, Teddy Roosevelt, Harry Truman, Lincoln) all had setbacks. Their secret? They got back on their feet and kept moving. I have written about Churchill and Lincoln’s stories of failure and how they responded. It is okay to not know what to do. This is what happens on a true journey. Practically, you can test on your strengths (Strengthsfinder 2.0) and evaluate your personality (Myers Briggs) to get a feel for what you want to do. In fact, as I took many of these assessments, they helped me figure out more what I did not want to do. The predictable life is boring, anyway. Pray, explore, and ask for guidance from those more experienced. Last, I encourage you to watch David McCullough’s commencement speech to Wellesley High school titled “You Are Not Special.” While the title gives you a double look, it is spot on to understand that we are ultimately part of a much bigger adventure. You are special in God’s eyes no doubt but on earth, the message is clear; humility, hard work, and taking joy in what you do is what will make the biggest difference for you in your journey. What about you? What is the best advice you received when you graduated from college (or moving into your career)? Doug, you are right on here. Honestly, these pieces of advice range from a variety of people but I’ve tried to apply them as best as possible. I just met with our interns today and am giving them “the talk” as well. Good times!